BIS Recruitment 2016 www.bis.org.in For 118 Clerk, Steno & Technician Post. 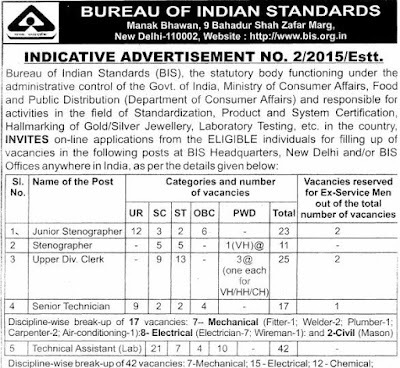 Bureau Of Indian Standards Has Published the Recruitment Notification for Clerk, Steno & Technician Posts. Eligible Interested Candidates Can Apply Via Online Mode. Last Date for Submitting Online Application form 01 February 2016. 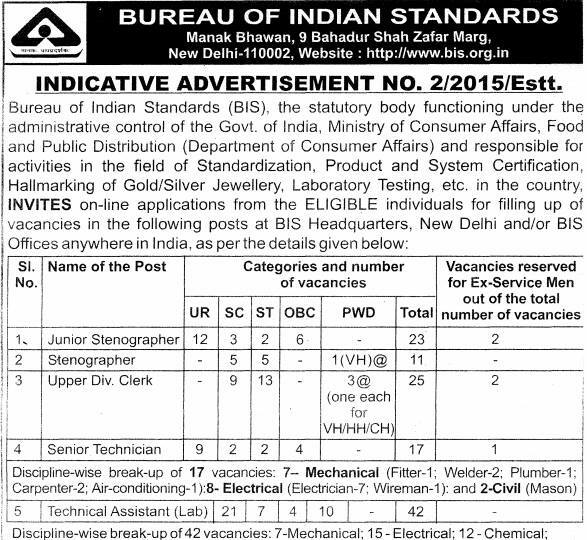 Bureau Of Indian Standards Recruitment 2016 For Clerk, Steno & Technician Post. No of Vacancy- 118 Posts. Educational Qualification- Candidates Must Have 12th, ITI, Diploma, Graduation Degree From Recognized University/Board.